You will need some knowledge of Laravel development and project structures. You will also need Composer installed on your machine. A Laravel package is a set of reusable classes created to add extra functionality to a Laravel website. In clearer terms, a package is to Laravel, what plugins are to WordPress. The primary goal of Laravel packages is to reduce development time by making reusable features into a set of standalone classes that can be used within any Laravel project. 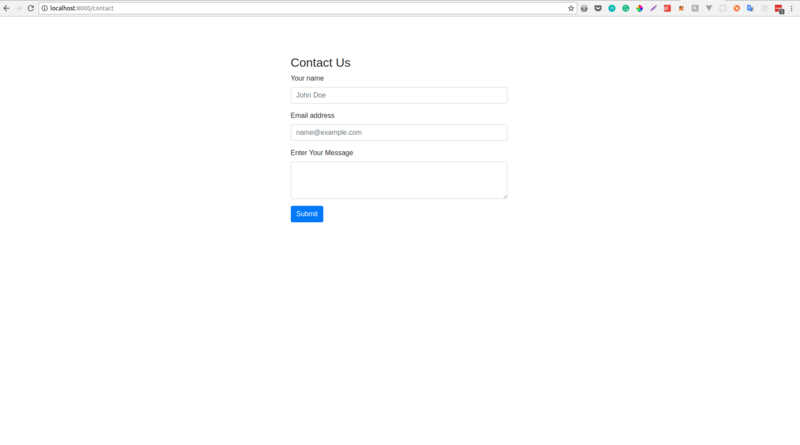 In this tutorial, we will build a contact form Laravel package and be publishing it on Packagist. Let's dive into it. Basic knowledge of Laravel v 5.5 upwards. Composer installed on your machine. If you don't have Composer installed on your system you can download it here. Since a package is created to add extra functionality to a Laravel website, the first thing we need to do is set up a Laravel website. We'll set it up using Composer. For other methods of installation you can check the official Laravel documentation here. At this point, our basic Laravel app is set up and it's time to dive into developing our package. We will install the bare bones of our package. 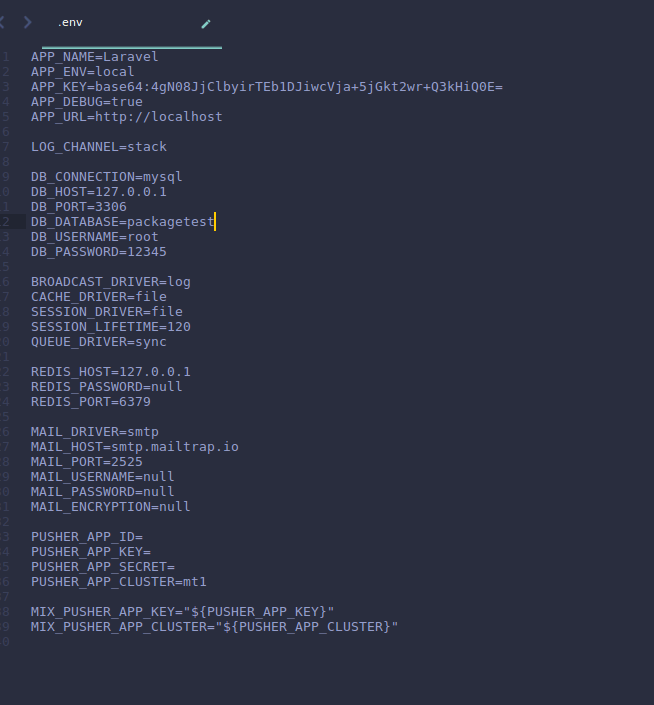 There are primarily two ways of doing this either through the method of creating the individual files and folder or using a package like this CLI tool. We will manually create the files and folders so we can have a better understanding of how every piece fits together. First, we need to create the folder structure for our package. All our development will happen outside in our packages/MyVendor/MyPackage/directory instead of vendor/MyVendor/MyPackage/ because it's not good practice to change the code in the vendor folder. When we are done publishing our package it will be downloadable to the vendor folder. MyVendor stands for the vendor’s name, which can be your name or the name of your client or organization you are creating the package for. Now, let’s create the files and folders that will make up our package. Please note that you can subtitute MyVendor in the code below with your own vendor name. However, be sure to change the vendor name everywhere it is called. Let’s add files to our package. First, we need to define a service provider for our package. A service provider is what Laravel uses to determine the files that will be loaded and accessed by your package. The namespace (which we defined in our composer.json autoload). The two compulsory methods every service provider must have (every Laravel package service provider must have at least two methods: boot() and register() ). Please note that you can substitute MyVendor in the code below with your own vendor name. However, be sure to change the vendor name everywhere it is called. Depending on your Laravel version Laravel may automatically add it for you. Be sure to skip if it does. __DIR__ refers to the current directory where the file is. routes/web.php refers to the routes folder we are to create for our package, which will live in our src folder, not the default Laravel routes. resources/views refers to the resources folder we created for our package not the default Laravel resources folder. To distinguish between the default Laravel views and package views, we have to add an extra parameter to our loadviewsfrom() function and that extra parameter should be the name of your package. In our case, it's contactform. So now whenever we want to load a view we reference it with this packagename::view syntax convention. If you try loading the route without the namespace Laravel will throw an error because by default it looks in the base folder's directory. So the namespace is added to tell it exactly where to load from. Now let's create a model that will help us relate with the database and some migrations alongside. Inside the Models folder, create a file named ContactForm.php and add the following code to it. and it will populate your database. Now go to your /contact view on your browser and send a mail, it will be inserted into your database. While we are sure that our contact form saves successfully, it will be a nice gesture to show a little message to our users telling them their mail has been sent successfully. Now we have been able to successfully save the data let's upload it to Packagist. Now go to Packagist and sign up. Click Submit. Copy the URL of your repository and submit it. Now it is done, we need to tell Packgist to watch our repository for changes and always serve the latest version. 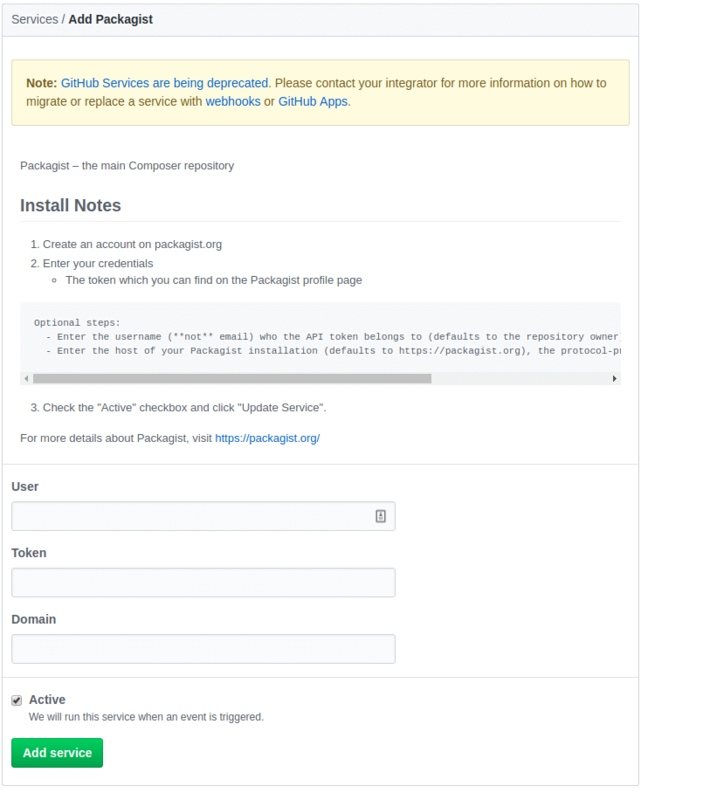 Goto: https://packagist.org/profile/ and get your API Token. Now on your GitHub repository goto the settings tab. 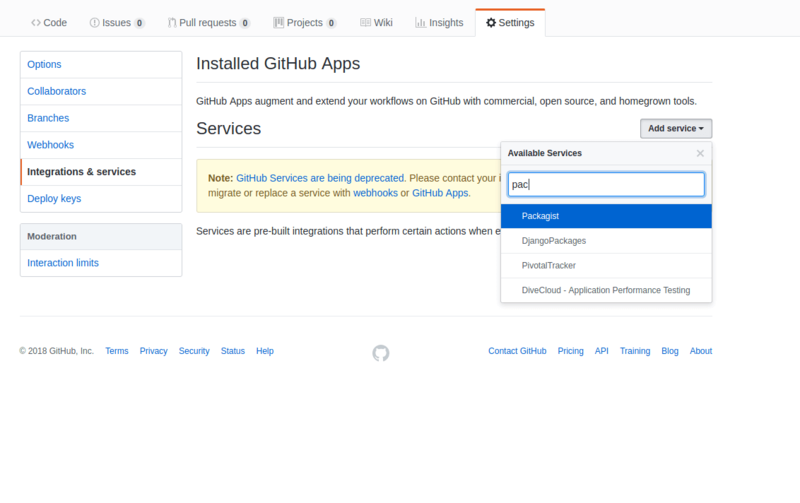 Under integration and services, click add a service and search for packagist. Fill out the form with your name and token, skip URL and add the service. Once that is done, click on test service and that's it! Your package is now live. In this tutorial, we’ve learnt how to create a Laravel package and publish it on Packagist. There are a lot more awesome things that can be built with this new knowledge. The code base to this tutorial is available in this GitHub repository. Hack on!